Are you a CAMPUS subscriber but haven’t tried all the tools available to you? Are you an educator thinking about a CAMPUS subscription and wondering how you’d benefit? Whichever category you fall into, we’ve put together this handy little guide to show you everything CAMPUS has to offer. Specifically, we’ll be looking at how to create playlists with our titles. What can CAMPUS do for me? 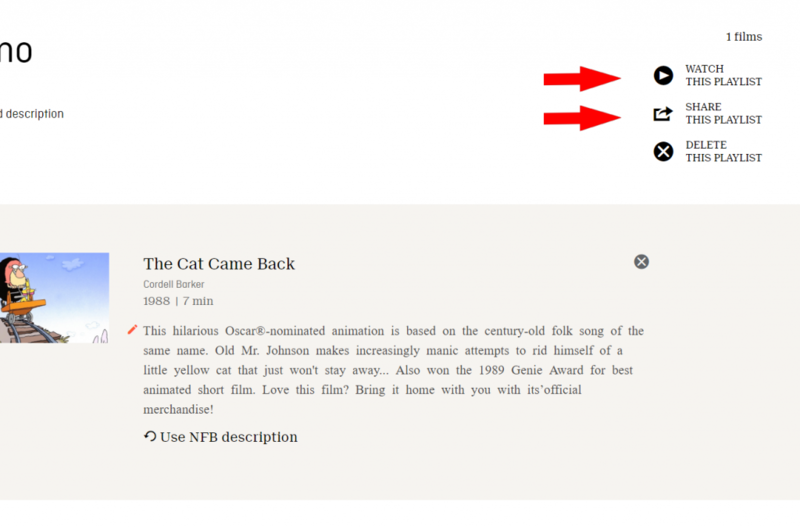 Customizable playlists You can create your own selection of films, grouped together by whatever theme you choose. You’re able to write your own descriptions for the films, giving them all the context required to fit your desired learning objectives. 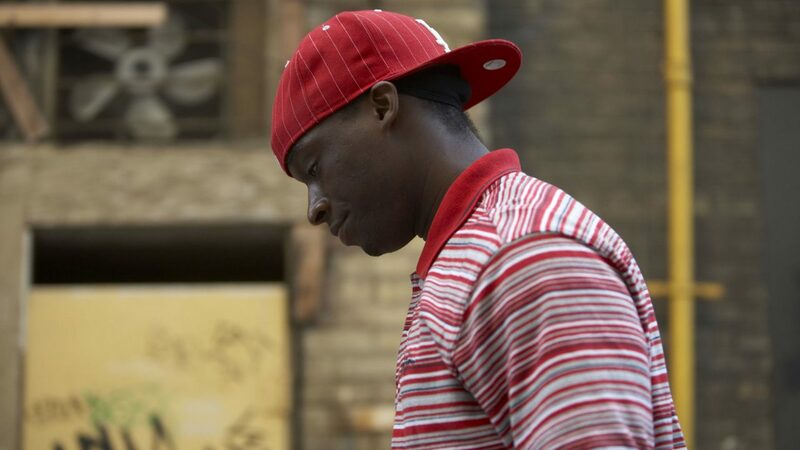 Chapters Our chaptering tool allows you to create excerpts from the films we have online. This is useful when you only need one or two scenes. All chapters can be given individual descriptions and added to playlists. Shareable content All of the playlists and chapters that you create using CAMPUS can be shared with your students, so that they can be accessed anywhere, at any time. Interactive productions In addition to our vast library of films, you’ll also have access to our complete suite of interactive projects, which allow for more hands-on learning. Pedagogical descriptions All of the films in our CAMPUS collection come with a brief description and prompts for classroom use, along with target subject areas and age levels. We have a team of educators who evaluate our content and provide information on how to get the most of out of the material. Learning bundles Exactly as they sound, our learning bundles contain a rich selection of resources alongside our films to round out a lesson plan. These resources include background information, discussion questions, classroom activities, articles, clips, and other tools provided by us or our partners. No more need to scour the Internet – we’ve already done it for you! Creating playlists allows you to organize your content however you want it. 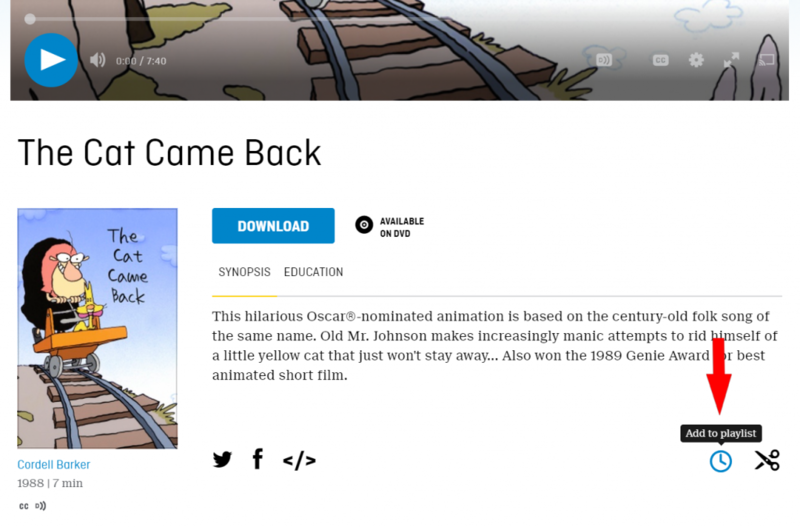 It also allows you to integrate films easily into your lesson plan. You get to choose the order for your films and clips, so they’ll always be viewed in the same sequence, no matter how many students and colleagues you share them with. Creating the playlist is easy. Once you’ve selected a film you want to include, simply click the “Add to Your Playlist” button underneath the video player. 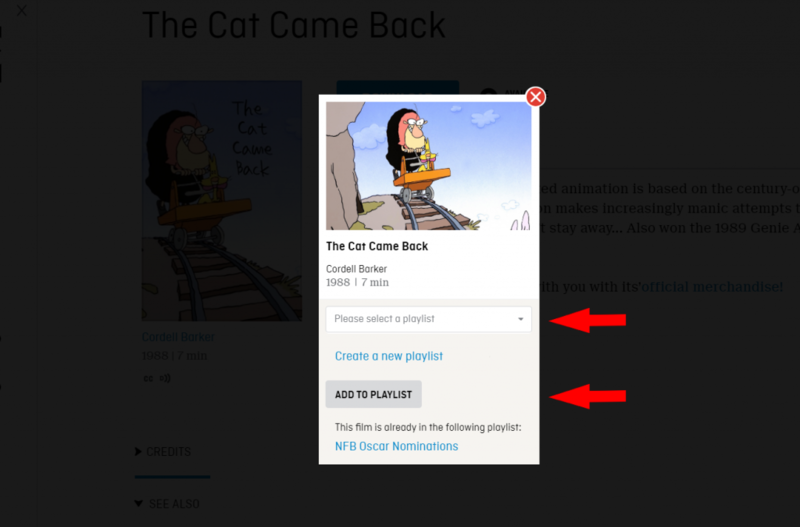 At this point, you can either add the film to an existing playlist (using the dropdown menu on the left) or create a new playlist entirely (using the link on the right). Simply follow the prompts. A confirmation window appears once you’ve completed the necessary steps. This is the page where you can add a customized description for your film, playlist name, or chapter. 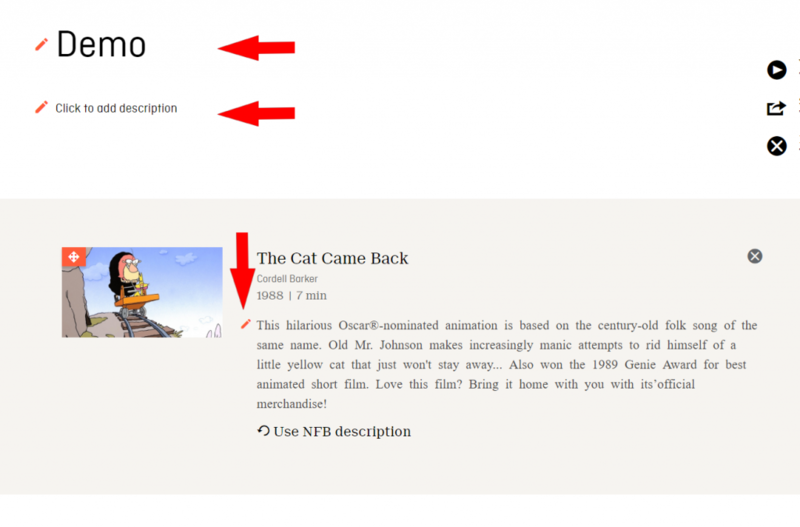 You can add information about the film, and any helpful information that provides context. You can watch your playlist by clicking the Play button or share it with colleagues and students by using the link provided on the upper right corner of the My Playlists page. For more information on how to create playlists, you can watch our video tutorial.